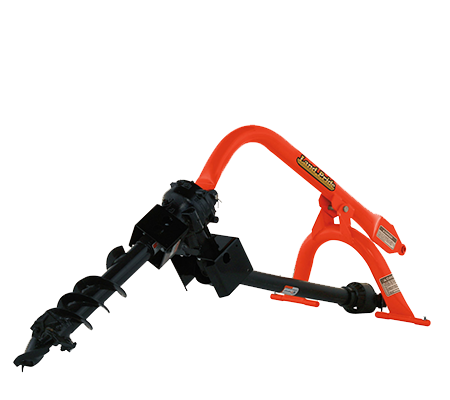 The PD10 Series Post Hole Digger is just right for 3-point attachment to Cat. 1 subcompact utility tractors. These units offer a 30″ auger length and a choice of 6″, 9″, & 12″ auger flights with cast steel fishtail tips for quick piloting and faster hole starting. Landscapers, rental yards, contractors, farmers, ranchers, and homeowner will find that the PD10 meets their general duty needs and applications.